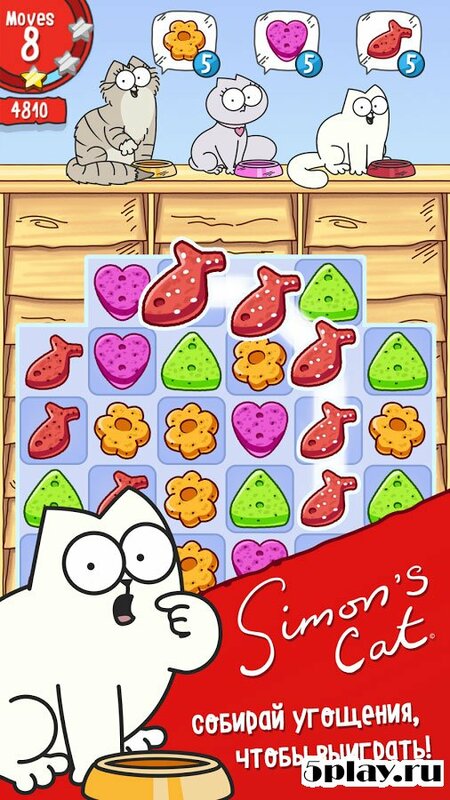 Simon's Cat - Crunch Time - puzzle game beloved by many genre of "three in a row." 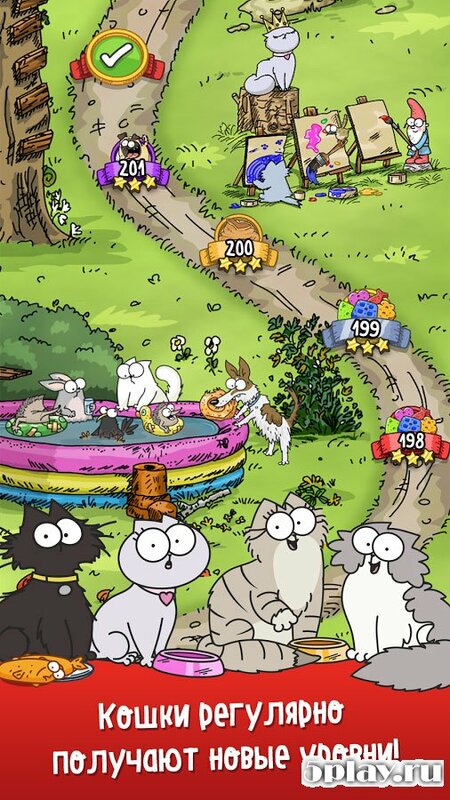 Here, the user will become an assistant of Simon's cat and his friends, who one day found that all of their sweets was kidnapped by crows. The hapless team fuzzies sent in a thrilling adventure in order to reclaim their Goodies. In this journey, the heroes will meet many new characters and make friends with them. 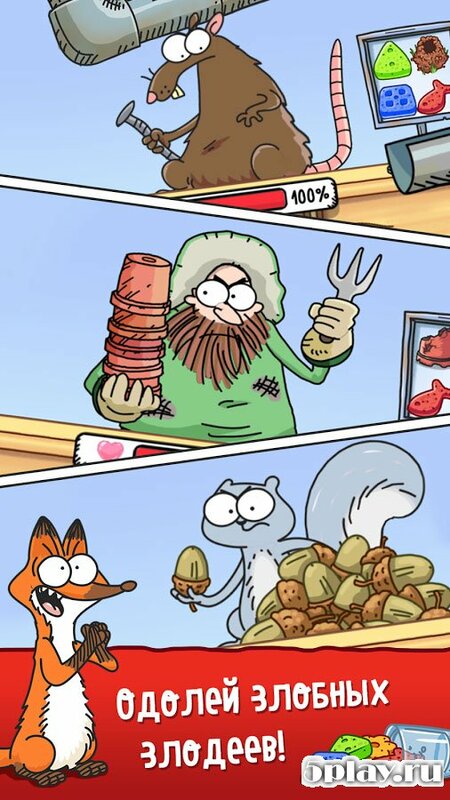 The gameplay here is fairly typical: of individual sweets you need to make chains, and the longer it is, the more points falls in the piggy Bank. 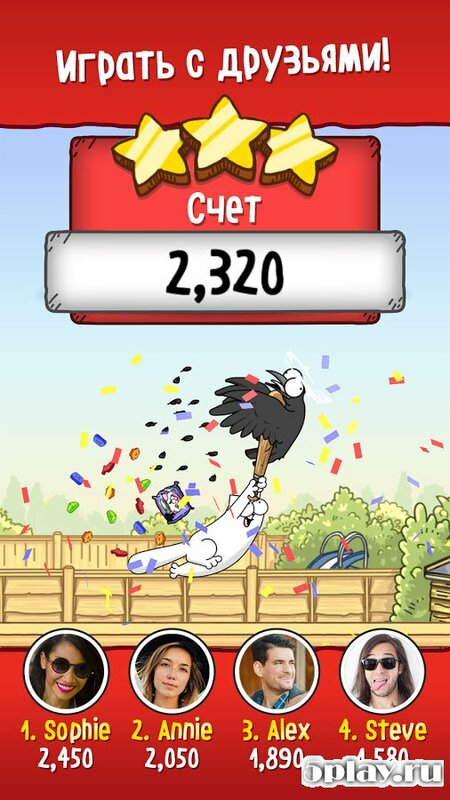 There are various bonuses and power-UPS that multiply the points several times and allowing a faster release of the playing field.